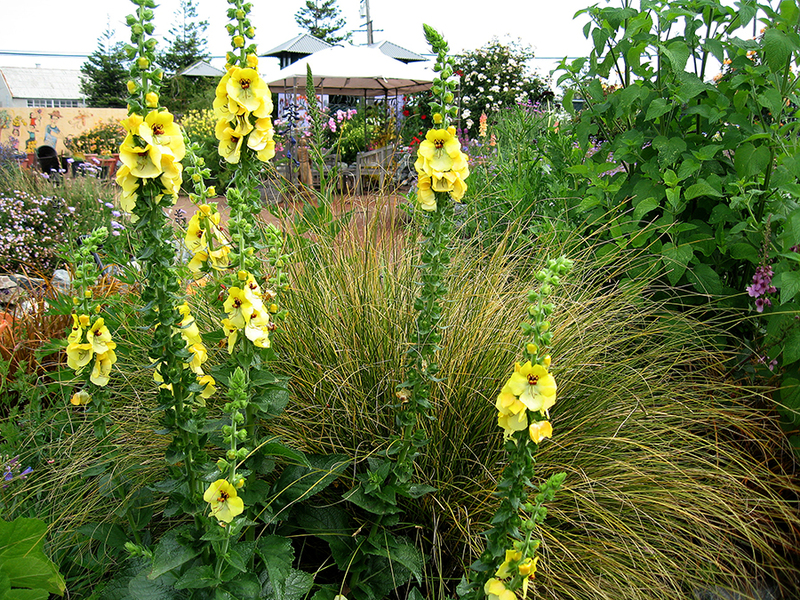 Top 10 Reasons to Love Verbascums! 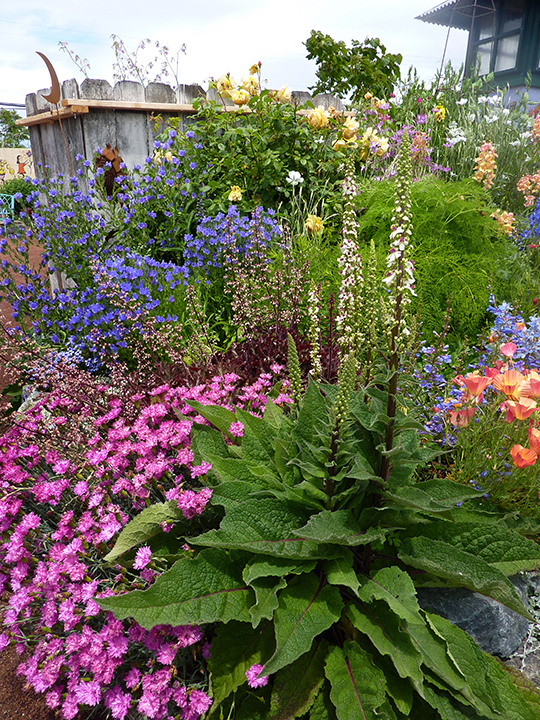 Do you grow Verbascums? If you haven’t yet, it’s totally understandable as you rarely see them in front yard gardens, you never see them in garden centers, they’re not sold by the branded plant companies, they don’t bloom in 4″ pots and are rarely sold in gallon containers. 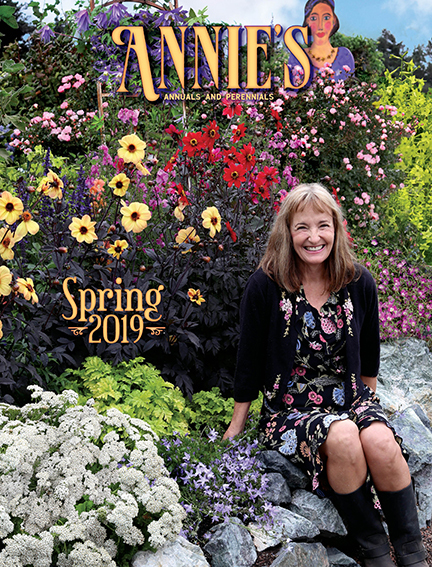 Under-recognized, they are often the unsung heroes of my gardens and one of the first plants I recommend to beginning gardeners as well as long-time gardeners. 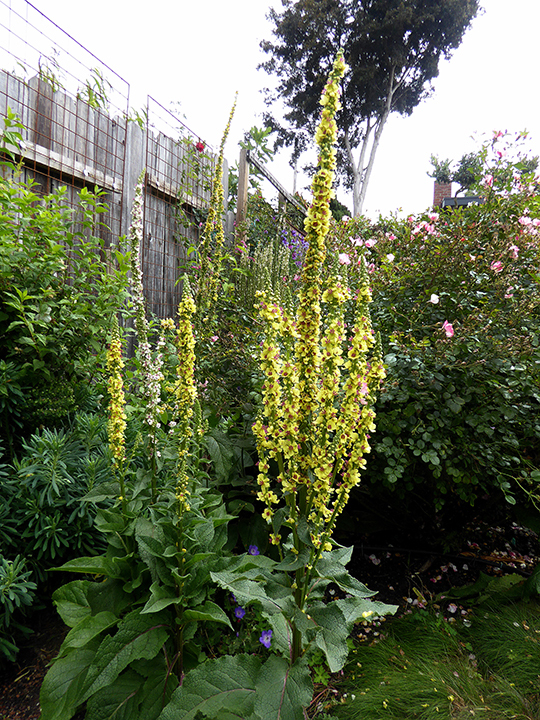 In my opinion, everyone should grow Verbascums, common name “Mullein”, and here’s why! 1) They’re so EASY my dog could grow them. 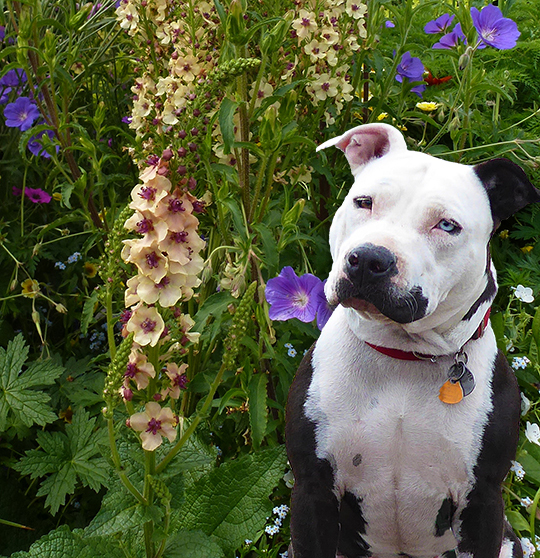 If Augie Doggie can grow Verbascums – so can you! 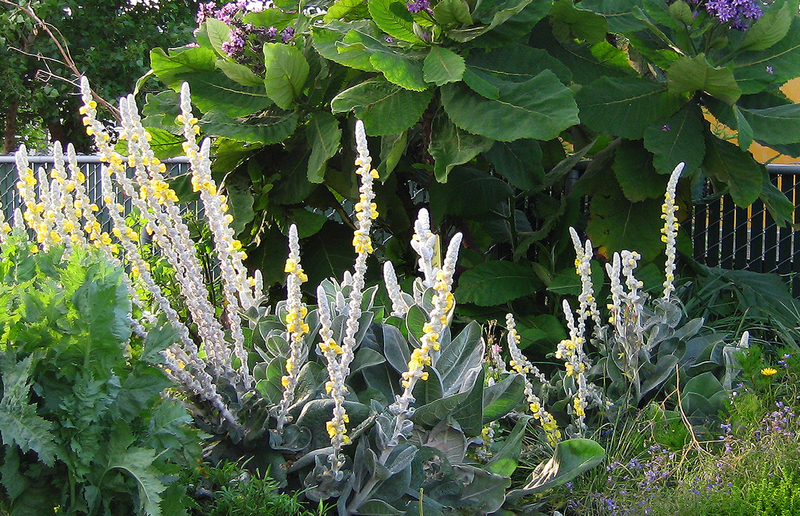 You can grow most Verbascums anywhere – from sun to shade and they’re not fussy about soil. Growing in infertile soil to loamy, compost-rich soil, they’ll even grow in clay with no complaints. Deer don’t eat them, snails don’t eat them – they’re completely pest free. 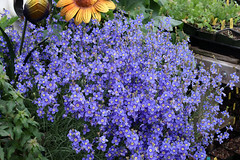 2) They’re DROUGHT TOLERANT requiring little water once established. 3) They provide that often neglected but so important vertical accent to your garden. And some do it fast, blooming just a few months after planting. 4) They are LOVED by bees! Bumblebees, honeybees, you-name-it bees. 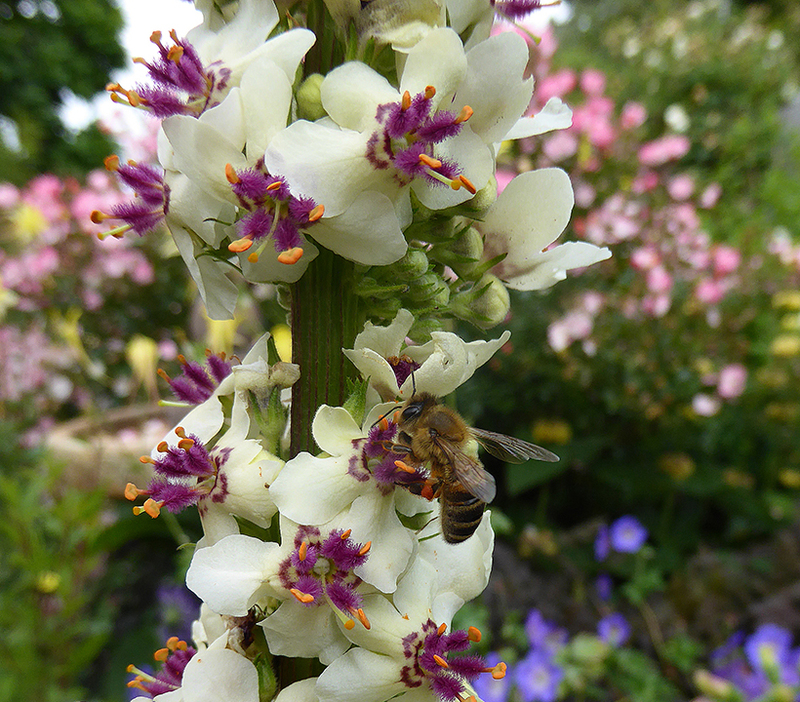 Verbascums are positively irresistible to bees of all stripes! 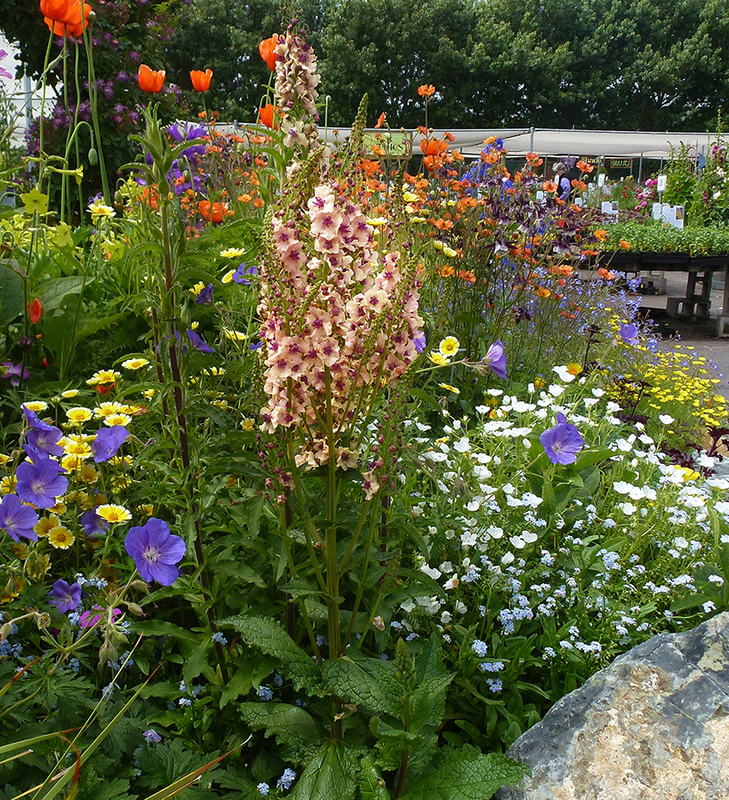 5) Verbascums self-sow! Not hideously but just the right amount to complete the garden. They just seem to know where to plant themselves to make your garden look more interesting and feel more garden-y. And hey, free plants! Now I know that some folks complain over self-sown volunteers. Here’s what I say: A: They’re a cinch to remove if you don’t want one in that spot and B: well, you’re already weeding your garden, right? What’s a few more volunteers? Self-sown Verbascum nigrum ‘Album’ growing out of rock wall. 6) There are so many different varieties to choose from! 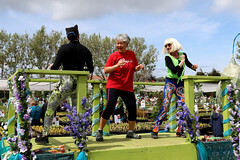 There are perennials and biennials (biennials bloom the fastest – within a month or two here in California, like annuals). What’s so rewarding about the perennial Verbascums, especially here in long growing season California, is that they are “cut and come again” or repeat bloomers. After blooming for up to two months, you just cut the spent flower spikes down to the foliage and they’ll soon bounce right back with more gorgeous bloom spikes. 7) They never look bad. You’d really have to try hard to make them look bad. 8) They combine so well with so many – they look great in cottage gardens, rose gardens, understated gardens, drought tolerant and rock gardens. 8.5) Did I say they self-sow? If you love them as much as me, know that you’ll never have to do without the surprising charm they bring to your garden. 9) They’re medicinal and aha! You can smoke it! 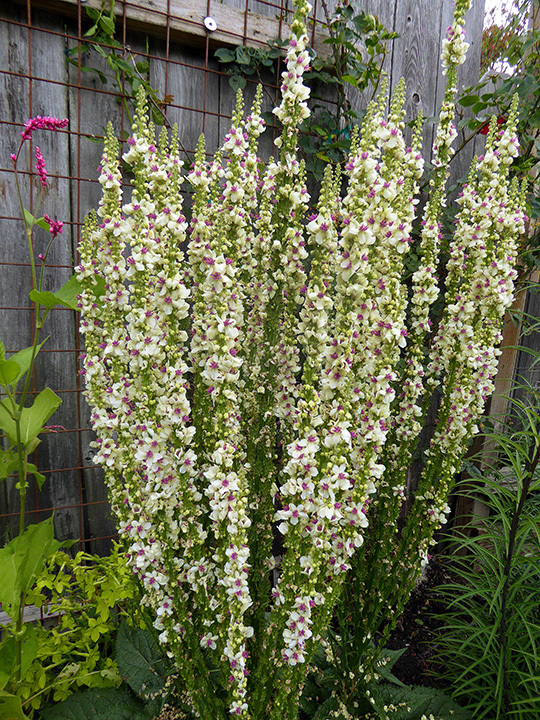 10) And my favorite thing about Verbascums is that when they bloom (and they bloom a lot), you feel so successful and happy with your garden, even though you’ve done nothing to maintain them! 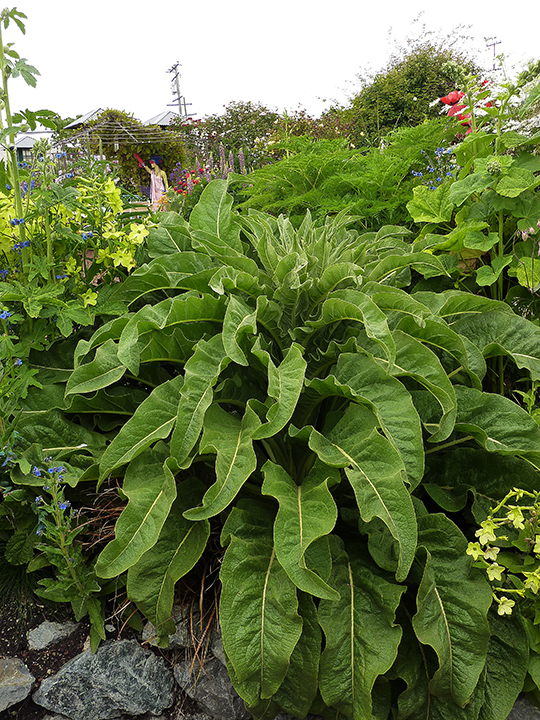 Verbascum nigrum ‘Album’ – This one’s perennial, living for many years, happy in sun or shade, creating a lovely, robust rosette to 30″ across and featuring felty, rich-green, spade shaped leaves. Not long after planting from 4″ size, they’ll begin to bloom with numerous erect spikes to 3′ tall or up to 4′ tall in shadier conditions. Densely studded spikes of creamy white 1″ blooms sport surprisingly flashy fuzzy bright caterpillar-like violet stamens ending in neon-orange anthers. 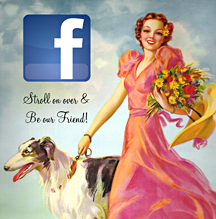 Repeat bloomer! Hardy to USDA zone 5. Verbascum chiaxii ‘Wedding Candles’ – Much like V. nigrum ‘Album’ above, except that it creates these outrageous candelabras. May not live more than 2 years but self-sows reliably. Repeat bloomer! Hardy to USDA zone 5. 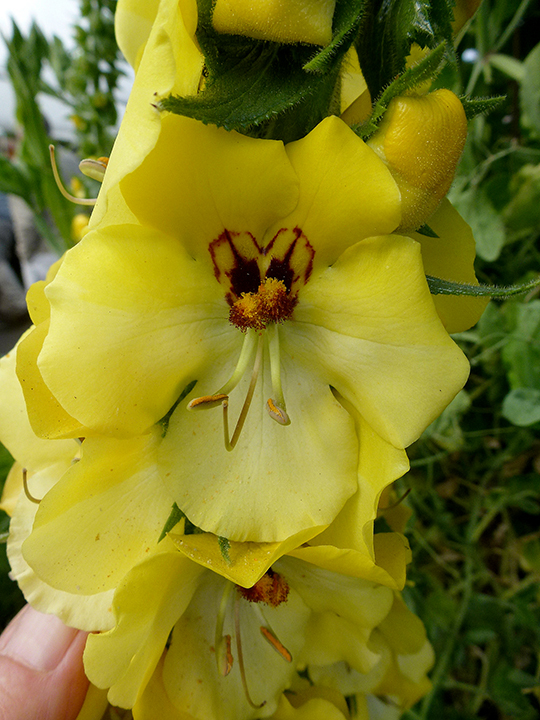 Verbascum nigrum – Long-lived like the white variety V. nigrum ‘Album’, this one’s an especially pleasing bright primrose (not golden) yellow with the same cool violet and orange eyes. 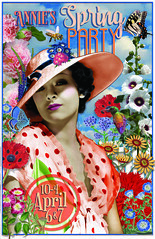 Repeat bloomer! Hardy to USDA zone 5. 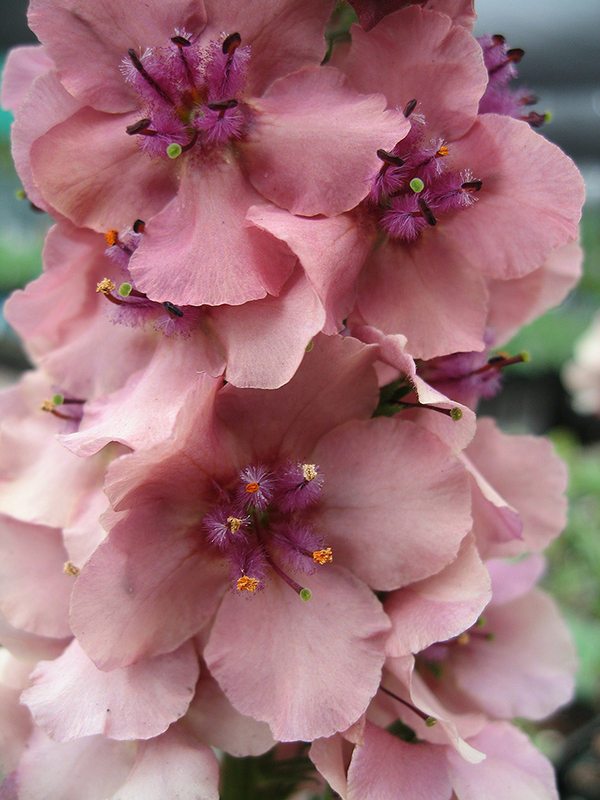 Verbascum ‘Southern Charm’ – Probably our most popular Verbascum because it comes in such sophisticated shades of chamois, dusty rose, soft primrose and apricot centered with fuzzy purple eyes. Grows from 2′ to 30″ tall, it’s almost ever-blooming if you cut spent spikes. Prefers sun to half-day sun here along the coast. Lives 1-2 years generally, but self-sows. Hardy to USDA zone 5. 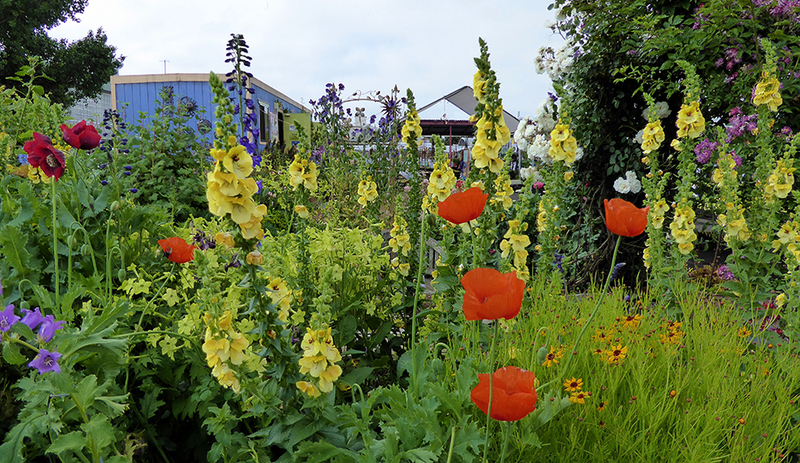 Verbascum olympicum – The grand marshal of Verbascum-land! You want drama, we got drama. This one grows up to 8-10′ tall with a positively immense candelabra of golden yellow spikes easily 3′ across. Huge foliar rosette of wavy, gray-green, felted foliage to 3′ or more across. Thrives in poor soil. 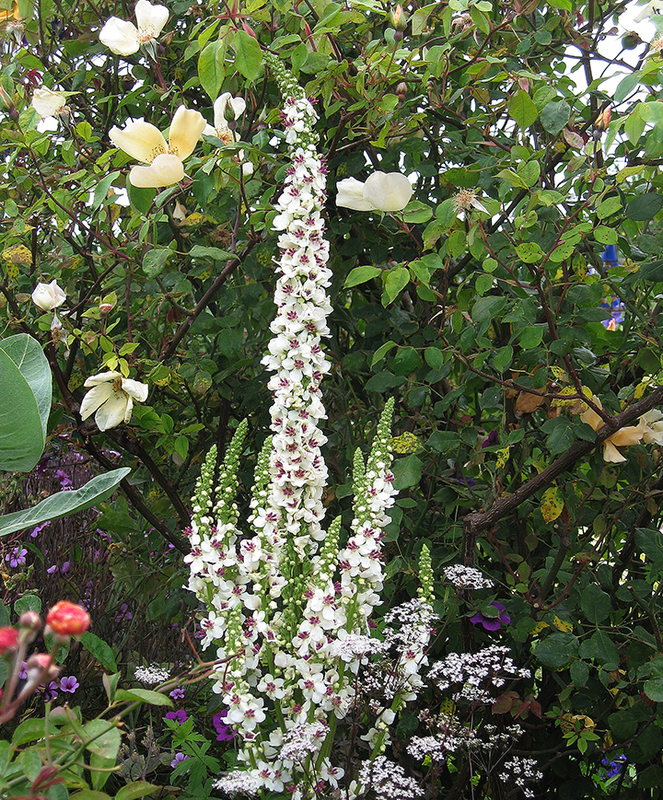 Not a cut and come again Verbascum but blooms for months. Traffic stopper extraordinaire! 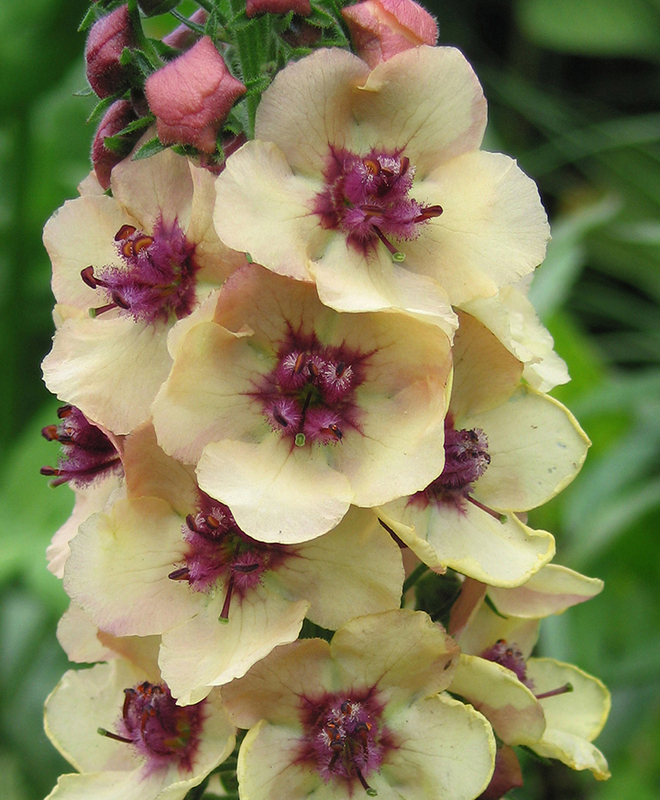 Verbascum bombyciferum ‘Arctic Summer’ – Speaking of traffic stopping, this drop dead gorgeous Verbascum creates a basal rosette up to 5′ across with stunning large silvery leaves that are wavy-edged and coated in a soft down. Wonderfully tactile and a bold garden statement plant! Loads of branching spikes 3-5′ tall – up to 20 at a time – emerge blanketed in a snowy white fleece from which large bright yellow 1.5″ blooms appear. This one requires good drainage, best on the edge of a bed or in a container, and prefers (which means it will die without) very low water. 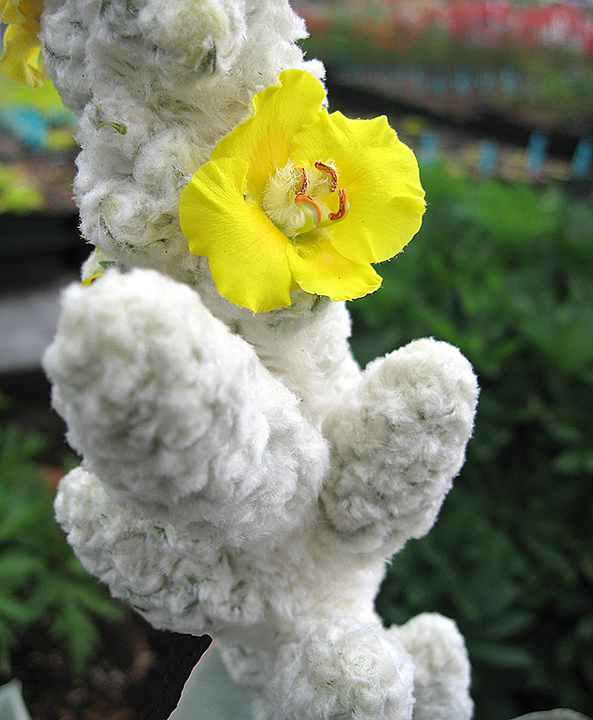 Verbascum sp. 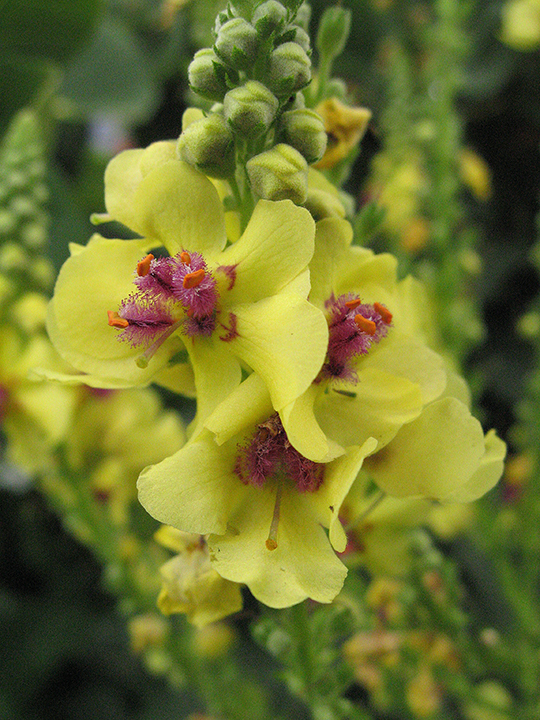 ‘Cotswold King’ – Probably our second most popular Verbascum. Considered a biennial, it’s our fastest-to-bloom, flowering within a month to month and a half if planted in Spring or Summer, so really it acts as an annual here in California because it will die after blooming. But what bang for the buck! Growing quickly to 4-5′ tall, it has the largest and most amusing scented flowers. To 2″ across, bright lemon yellow and cartoon-like, they remind me of Yosemite Sam! Each plant bears up to 10 erect spikes and blooms for several months. You’ll be glad this one’s a reliable self-sower as it really brings a fun and cheerful quality to your garden. So go forth my gardening friends and do try one of these good natured, effortless garden accents. They’ll tolerate neglect and give so much back. But ha, of course it’s me talking, so what will I say to make your Verbascums grow perfectly (all except for V. ‘Arctic Summer’)? Yes, compost! Side dress with a 1/2″ to 1″ of some good compost after planting and each Spring thereafter for extra robust growth and flowering. And yes, even if you’re planting them in a low-water garden. 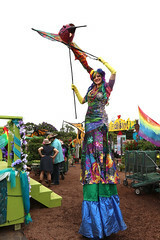 ← Home Gardeners are NOT the Problem! Your gardens are beautiful every time I see them on your site. I did see them in person when I was in San Fran, so I know they always look top notch. 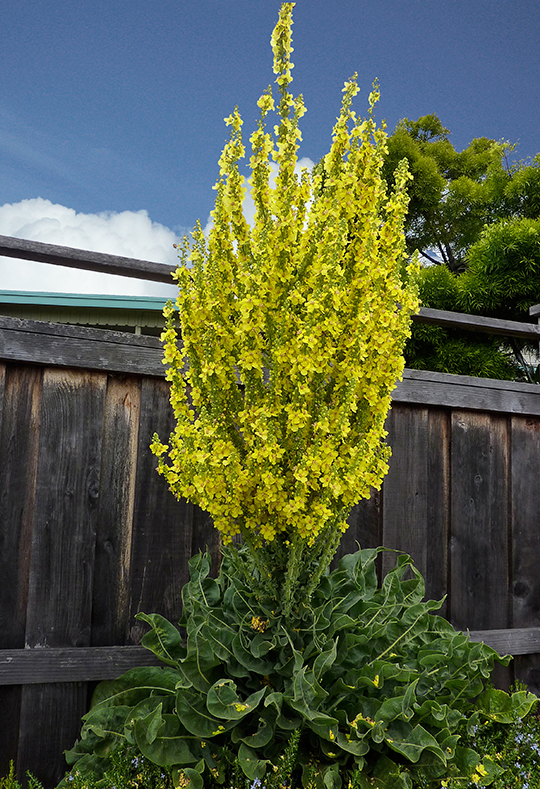 I do like Verbascum to use in design, but having a tiny city property myself, it is just a huge plant. I do have one though… you are right, an easy plant to grow. 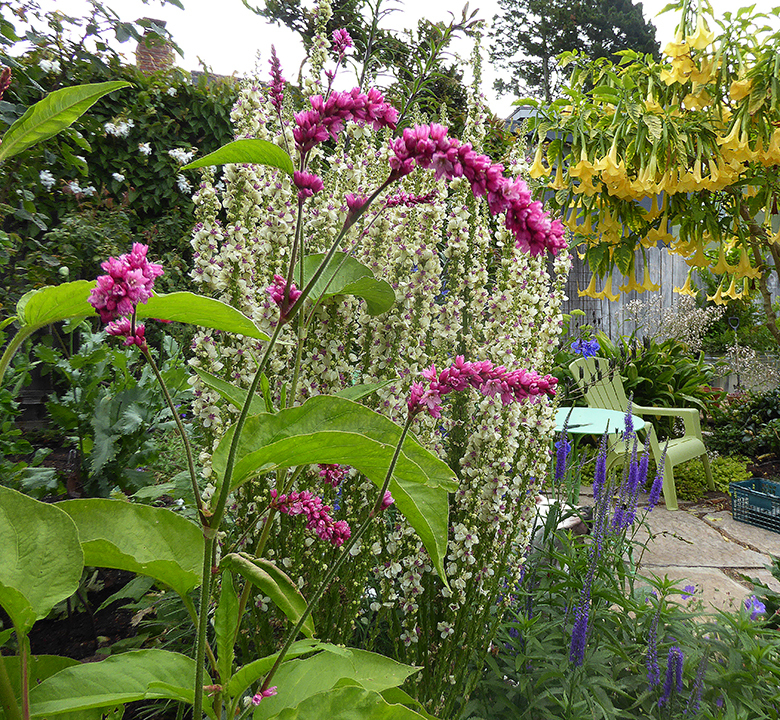 I planted your Verbascum bombyciferum ‘Arctic Summer’ -and I loved it! Full of happy surprises! 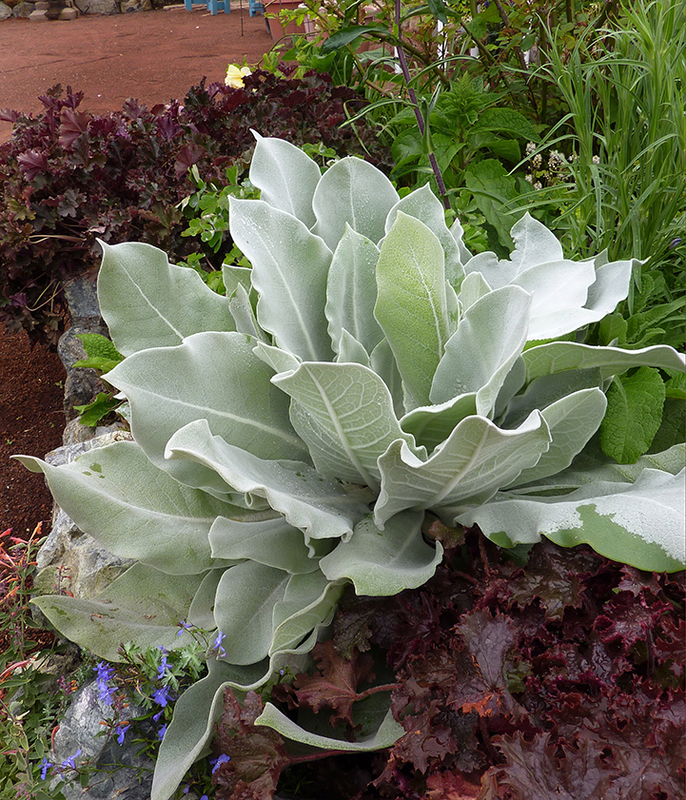 The silver leaves are a great accent brighting up in the garden -so a great foliage plant and that was terrific. Also when it bloomed it was very fun. Bees love it. It always had a couple of bees on it. It bloomed all summer and was still blooming in December. Another thing is it is a great cut flower! I cut one of the flowering branches off and it is very interesting with its white wooly texture. The yellow blooms opened up in the vase and continued with new blooms for weeks. I am going to try the other verbascums for this spring. Great post, such amazing plants. 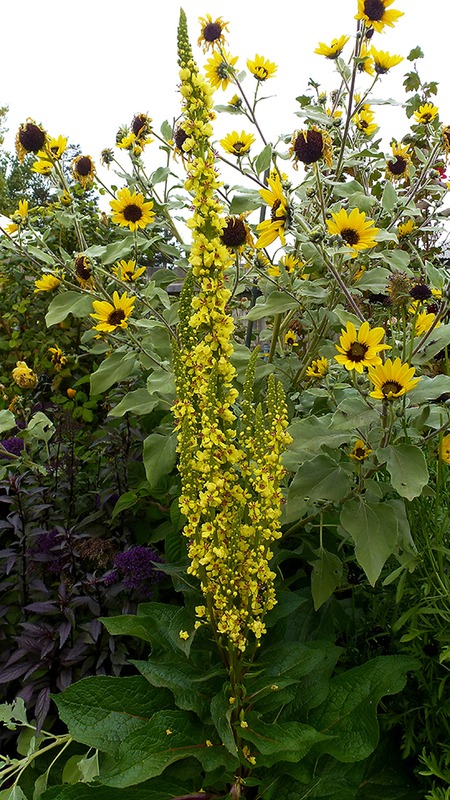 One random question.. what is the plant with the small sunflower like flowers in the photo above the description for Verbascum ‘Southern charm’? I really like the look of it! 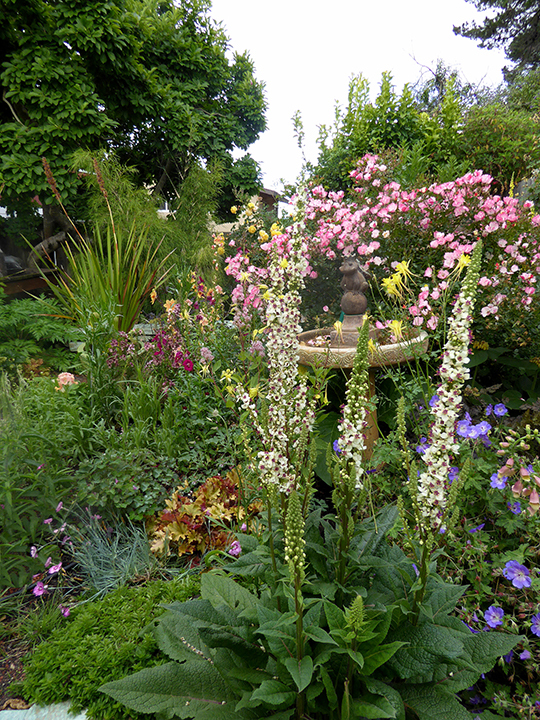 Hooray for verbascums! I first saw wooly mullein years ago up in Lake Co. around Lake Pillsbury. I was smitten! I dug up a few plants, brought them home, and planted them in my garden. As you say Annie, they self-sow but not outrageously. And they have been one of the highlights of my garden ever since. 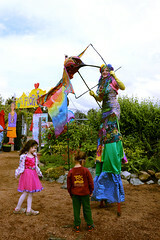 It’s a mystery as to why they don’t appear in more gardens, as they are totally non-fussy plants and look spectacular!